It’s been 25 years since Star Trek: The Wrath of Khan was released, and to commemorate the occasion here’s a Star Trek USS Enterprise model that’s gotten itself a fancy new paint job. Designed by Art Asylum, the 16-inch plastic model is also fitted out with the appropriate blinking lights and realistic sound effects from the movie. This is Fujitsu’s new UMPC concept which T3 shows us in their video (watch below) . The Ultra Mobile PC device features a fold-out keyboard, making it super compact, and is about the the size of a CD jewel case. 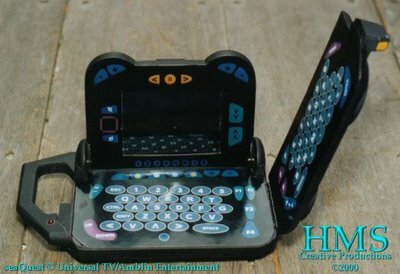 According to Reg Hardware, the “components connect wirelessly, so you can lift off the screen and carry it around, interacting with the computer unit using a stylus, tablet fashion.” Nice. Much better than Frosty the Snowdork, this $14.99 Snowbot is the perfect present for Xmas or Cylon day, whichever you celebrate. See out more pictures of the bot after the jump. SCI FI Channel and its parent network, NBC, put to rest fan rumors that SCI FI’s original series Battlestar Galactica will make the move to NBC. “There is no truth to this rumor,” a SCI FI spokesperson told SCI FI Wire. The rumor has appeared on fans sites such as the Battlestar Galactica Site and been picked up by other entertainment news sites. “Word has begun to circulate that NBC’s acquisition of Battlestar Galactica is in the ‘waiting-for-the-ink-to-dry’ phase at this moment, and an official announcement could be days away,” the Battlestar Galactica Site said. 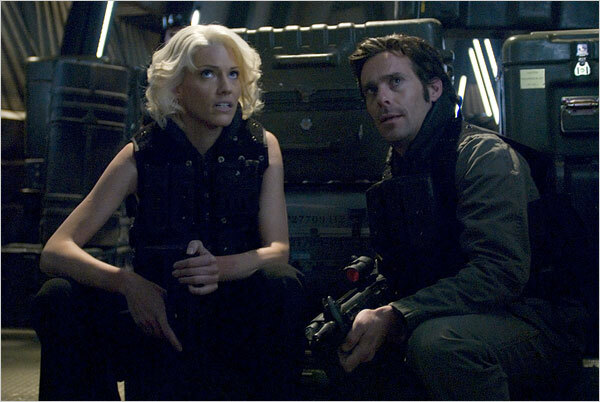 Battlestar Galactica returned for its third season on SCI FI on Oct. 6 and airs Fridays at 9 p.m. ET/PT. It was the number-one cable show in its timeslot for the night.